The choice of cruise lines worldwide, the ACR Auto HemiLight™2 attaches to almost any style life jacket. It is smaller than other approved lights and features rounded edges to maintain inflation bladder integrity in inflatable jackets. 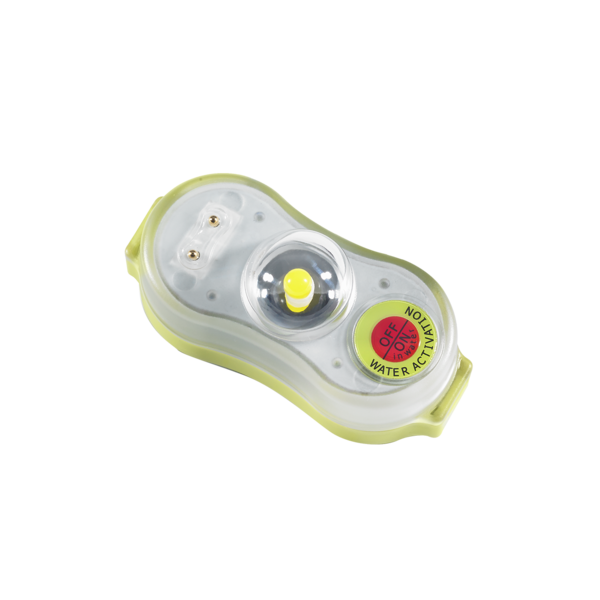 The all new LED light activates when in contact with salt or fresh water and can be deactivated by sliding the switch to the off position. Installation is quick and simple with the all new Dragon Clip™ which provides secure retrofit attachment to almost any style life jacket in a matter of seconds.